Northeast Themography Medical Imaging Center is a imaging center using Digital Infrared Thermal Imaging cameras to map the heat patterns of the human body and identifiy inflammation and physiological process that cannot be detected with other imaging modalities such as X–Rays, MRIs, and Ultrasound. Thermography provides a diagnostic tool to detect changes in your body which can indicate early stages of diseases like cancer or other changes and is a radiation free way to help assess a person’s health. Conventional medical technologies such as Blood tests, X-rays and MRIs are typically performed after symptoms appear. The picture offered is often incomplete. – Thermography is a 100% safe imaging test that can provide a road map to improve a person’s health, wellness and longevity. Thermography is non-invasive and painless, involves no radiation, no contact, is private and FDA Certified. 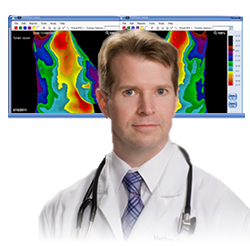 Certified clinical thermographers trained to scan using strict protocols developed for best patient compliance and results. The ability to detect problems early on is a tremendous advantage that is gained through technological advances in the medical field. The best possible preventative healthcare screenings of full body or regions of interest scans – without radiation, no pain, noninvasive, and in total privacy. This is the standard we believe in for the preventative state of healthcare. Interpretations of Images – From a MD, board certified and trained in Thermology. Why choose a Certified iScanHD imaging center? iScanHD Centers use ONLY high-definition digital imagery with 307,000 pixels per image, essential for greater accuracy and critical analysis. Total Vision Software – Unique, patented and exclusively offered by iScanHD Imaging Centers . Interpretation by Physicians Insight – Board Certified MD’s who are specialists in infrared imaging analysis. The mission of all iScanHD Certified Centers is to create the Standard of Excellence using Thermography as a significant screening tool in the preventative healthcare areas of medicine. Medical Thermography is one of these technological advances and provides a diagnostic medical imaging procedure that does not impart energy to the patient, is non-invasive, objective, and relatively inexpensive.